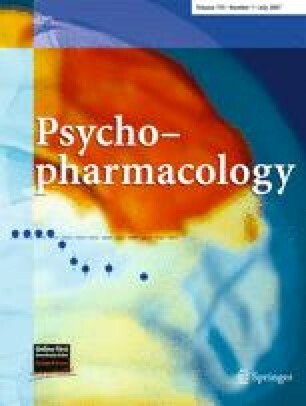 Indirect evidence supports a link between serotonergic activity and individual differences in the behavioral response to alcohol, but few studies have experimentally demonstrated that an individual’s biological state can influence the sensitivity to alcohol-induced behaviors. Our purpose was to temporarily modify serotonin synthesis in healthy individuals to determine how altered biological states may interact with alcohol administration to affect impulsive behavior. In a repeated-measures design, 18 normal controls consumed a 50-g l-tryptophan (Trp) depleting (ATD) or loading (ATL) amino-acid beverage that temporarily decreased or increased (respectively) serotonin synthesis before receiving either a moderate dose of alcohol (0.65 g/kg) or placebo. All participants completed three impulsivity testing sessions on each of the five experimental days. Session one was a baseline session. Session two included testing after ATD-only or ATL-only. Session three included: (1) placebo after ATL (ATL+PBO); (2) placebo after ATD (ATD+PBO); (3) alcohol after ATL (ATL+ALC); (4) alcohol after ATD (ATD+ALC); and (5) Alcohol-only conditions. Impulsivity was assessed using the Immediate Memory Task (Dougherty et al., Behav Res Methods Instrum Comput 34:391–398, 2002), a continuous performance test yielding commission errors that have been previously validated as a component of impulsive behavior. Primary findings were that ATD-only increased impulsive responding compared to ATL-only, and ATD+ALC increased commission errors to levels higher than either the ATL+ALC or Alcohol-only conditions. These findings demonstrate that reduced serotonin synthesis can produce increased impulsivity even among non-impulsive normal controls, and that the behavioral effects of alcohol are, in part, dependent on this biological state. This research was sponsored by grants from the National Institutes of Health (R01-AA12046, R01-AA014988, and T32-AA07565). We thank Lauren Kirschbaum, T. Dorina Papageorgiou, and David Trotter for assisting with data collection for this study. A preliminary account of part of this work was presented at the British Association for Psychopharmacology meeting (Dougherty et al. 2004). None of the authors have a financial relationship with the funding agency of this study. This study was approved and conducted in compliance with the University of Texas Health Science Center at Houston’s Institutional Review Board in accordance with the ethical standards of the 1964 Declaration of Helsinki and current laws in the United States. While the authors Dougherty, Marsh, and Mathias were affiliated with the University of Texas Health Science Center at Houston during the data collection for this study, they have since relocated to the Wake Forest University School of Medicine.